Adapted from the best-selling All Souls trilogy by Deborah Harkness, the supernatural drama series A Discovery of Witches (available to stream in the U.S. at Sundance Now and Shudder) is set in a world where witches, vampires and daemons secretly live and work alongside humans. 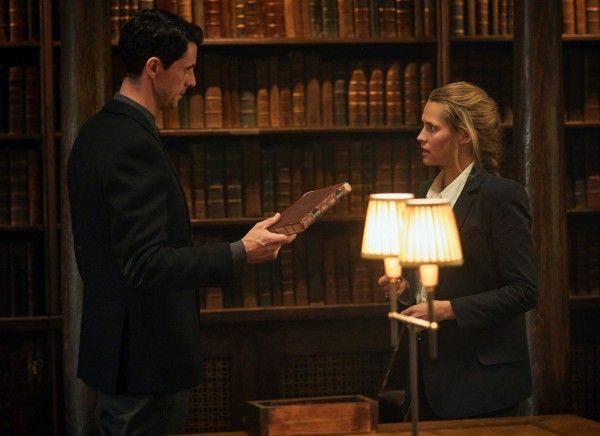 For academic and historian Diana Bishop (Teresa Palmer), who also happens to be a witch that’s denying her magical abilities, the discovery of an ancient manuscript not only brings on an awareness of this dangerous and scary world, but it places her directly into the path of geneticist and vampire Matthew Clairmont (Matthew Goode), igniting a relationship between them that threatens to unravel the fragile peace between the creatures and destroy them all. 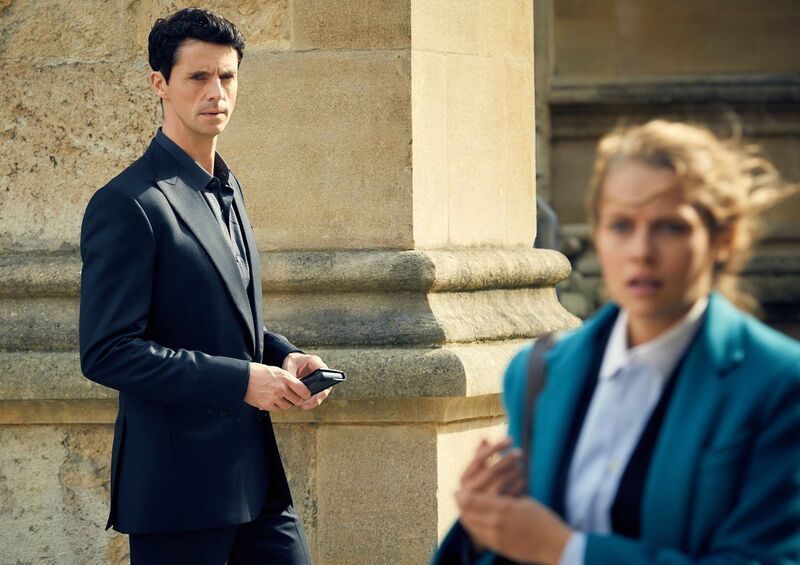 During this 1-on-1 phone interview with Collider, actress Teresa Palmer talked about how exciting it is to know the series has already been picked up for a second and third season, how grateful she is that they’re not leaving fans with the Season 1 finale cliffhanger, what she loves about her character, the fun of having Matthew Goode as her partner on the series, what she’s most excited about with Season 2, and when they’ll start shooting new episodes again. Be aware that there are some spoilers discussed. Collider: This series hasn’t aired in the US yet, but you’ve already aired in the UK and had a great response there. How exciting is it to already have a pick-up for Season 2 and 3? TERESA PALMER: It’s pretty mind-blowing, to be honest. I had no idea that that’s how it works, and then I found out later that that’s not typically how it works. This is my first time doing television, so I’m such a newbie to the whole thing, but to hear that is just so liberating and incredibly exciting. Really, it’s the fans that did it for us. The passion and the excitement and the feedback has been mind-blowing. We had no idea that it would have this kind of impact from people, so to hear that we get to do a second and third season is just really, really special. We’re really grateful. I can’t wait to start back into this world again. I’ve been away for a year and I’ve missed it, so it will be nice to get back to Wales and jump into the second season. When the first season ended on a pretty big cliffhanger, did you know, at that point, that you’d be coming back, or were you worried that you’d be leaving viewers at that point in the story? 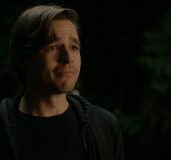 PALMER: We were definitely thinking, “All right, we better shoot a second season ‘cause this is gonna be a bummer, if this is how the whole show ends.” So, we were very hopeful, of course. I didn’t really know how it worked. I just assumed that we’d at least get to do a second season, but then to hear that it was a second and a third was just phenomenal. They have big plans for the show, and it’s just very exciting. I’m so used to doing film that this was a big change for me to come onboard and do a TV show. I just feel so grateful ‘cause I really believe that I was supposed to do this show, and it’s been a really great first experience doing TV. When you signed on for this, did you know how popular the books were, or was that something that you realized later on? PALMER: I did a little bit of research when I read the first script because I instantly fell in love with this character and was like, “I’m sure other people have had this experience, too.” So, I started looking online and I realized these are really beloved books. People are very excited about these books. I delved into the world of A Discovery of Witches and started reading fan sites, and there are podcasts dedicated to it. I feel like some of these people know more about my character than even I do. Sometimes I’ll go in there and be like, “I wonder what their opinion is on this situation that she’s navigating.” So, it’s been really cool to have that feedback from the fans, but also intel. I’m delving into their ideas and their thoughts on things, and it’s very interesting. 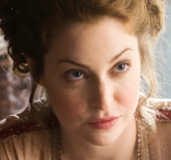 One of the things that I love about Diana Bishop is that she’s a smart woman who wants to be an equal to Matthew, and she’s willing to fight for that. What do you like most about her? PALMER: There’s so much that I gravitate towards, in terms of who Diana is, as a person. I just find her so inspiring because she’s just so bright and passionate. What she does is she dives into something that’s incredibly terrifying and confronting. Her whole experience with being a witch and embracing her powers hasn’t been positive, so far. She lost her parents, and she doesn’t want to have anything to do with it. But then, Matthew comes along and there’s that otherworldly connection between them. Gosh, what a scary thing to have to jump into and navigate. I think she’s so brave. It’s very cool because it’s only by delving into the scary stuff that she actually becomes a fully realized person, and she becomes closer to who she really is. I think that’s actually just a beautiful lesson, in general, for people. So, that was something that I really loved about her. Does she feel like a very rare character that you don’t get to come across in scripts too often? PALMER: Yeah, I just thought she was very unique, and she was so well written and layered and deep. I loved that she had flaws and vulnerabilities, and she was allowed to exist in both. She could be strong and wonderful and inspirational, but at the same time, she could feel very human, pardon the pun, since she’s not human. She was relatable, and I think that’s very important. When audiences watch something, they want to feel, “I could be in the same situation,” or “I’ve had to go through things that she’s had to go through. 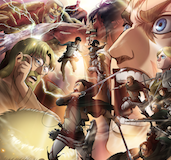 What would I do in that situation?” I think what makes watching a show more interesting is when you can really connect to the characters, and that’s how I felt while I was reading this. I was just rooting for her. She’s an incredible person. She’s taught me a lot, and that’s really nice. I love watching you and Matthew Goode together because there’s just something so fascinating and fun with the dynamic between your characters. What’s it like to have him as your partner in crime, throughout this experience? PALMER: It was hilarious. He is one of the funniest people I’ve ever met, in my life. We spent the entire time giggling and just having a good old laugh. He was my comrade. He’s my best mate on set. We always had each other’s backs and we were a real team. You can’t be in a show like this and have to have that kind of connection with someone on screen, if you don’t like the person off screen. That would be so impossible, so I’m just so glad that we became so close. He really was like my brother, and we were on the same page about everything. It just made work fun and easy because I always had my person there to back me up, and vice versa. We were always there for each other, so it was really wonderful. I think it helps, too, that we’re both parents. He’s married with three kids, and I’m married with my third on the way. I have a stepson, too. So, it was just cool to know that we both are having similar experiences in our lives, and we can look at this from the point of view of people who have done amazing stuff and we’re both parents. That brought another element to it, which was really nice. At the same time, do you think Diana might have reconsidered starting down this road with Matthew, if she knew how terrifying her mother-in-law could be? PALMER: Oh, god! Yeah, that first meeting, especially, is terrifying. And Lindsay Duncan plays that character so well, which is so funny. She’s the sweetest, most warm and gentle person that you could ever imagine, but as soon as the cameras roll, the eyes change. She’s just brilliant in that character, but, yeah, she’s the mother-in-law from hell. But who knows whether or not Diana would embark on that journey, if she knew before. Probably, because I feel like that pull is so strong between them. She’s facing being killed by other witches and demons and vampires, and she still is like, “Yup, I’m diving in!” So, she’s pretty brave. I love that we get to see the relationship between her and her aunts, as well. It’s such a beautiful relationship, and even though much of what we see of their bond is over the phone, we do also get to see them interact a bit. What was it like to get to share scenes with Alex Kingston and Valarie Pettiford? PALMER: Alex Kingston and Valarie together are sunshine, both of them. They’re just warm and joyful, and they brought so much to those characters that it was very easy to love them like they were my family. I really enjoyed being around them and being on set with them because they felt like home to me, which was perfect because that’s exactly how it should feel between all of them. Diana and her aunt, Alex’s character, definitely have an interesting dynamic between the two of them, but ultimately there’s just so much love there, and I felt that. Working with those ladies, you can’t help but feel happy on set ‘cause they’re just wonderful human beings, and they’re really good together, too. It’s amazing. 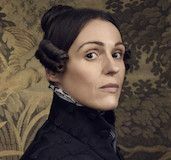 We know that, in the second season, we’ll see Diana and Matthew hiding in time in the world of Elizabethan London, which seems like a pretty dangerous time period. What are you most excited about exploring, when it comes to the next season? PALMER: I’m really excited. I’ve never done anything Elizabethan before, so I’m definitely excited about delving into that world. It will be so different from what we’ve shot ‘cause the first season is contemporary, and you’re not supposed to be able to tell who’s a witch and who’s a vampire. And with Season 2, I don’t really know what to expect because it’s my first time doing anything Elizabethan, and I know there’s gonna be amazing costumes and set pieces. I’m probably gonna be two months post-partum, so I’m like, “Yeah, I’m excited about the corset. It’ll be great for me.” But, I don’t have any expectations. I’m just gonna go into it open-hearted and see what it’s gonna be like. I know that we’ll get to delve further into their relationship, so I’m excited about that. How much scarier and more dangerous do you think Diana Bishop will be, once she truly learns how to control her power and fully become who she’s meant to be? PALMER: I’m sure it’ll be more dangerous, but at least she’ll also be able to really protect herself, too. I’m excited to see what she learns. I don’t really know what kinds of powers she’s gonna end up having. Just the few that she has already is so incredible. I think that, for the next season, things are probably gonna get even more dangerous, but also even more adventurous and exciting. It’s gonna be a world that is brand new to her. I want to see her stumble and fall, and I want to see her figure out how to pick herself up again and keep going. I’m just very interested in the whole thing. When do you start shooting Season 2? PALMER: In July. Well, they’re starting earlier than me ‘cause I’m having a baby. I think they start in either the end of May or early June, and then I’ll jump in and do my stuff in July, after I give birth to a human. It was funny, the reaction of some of the fans, when I announced my pregnancy. Everyone was like, “But what does this mean for Season 2? !” Fear not, it’s still happening! A Discovery of Witches is available to stream at Sundance Now and Shudder on January 17th.